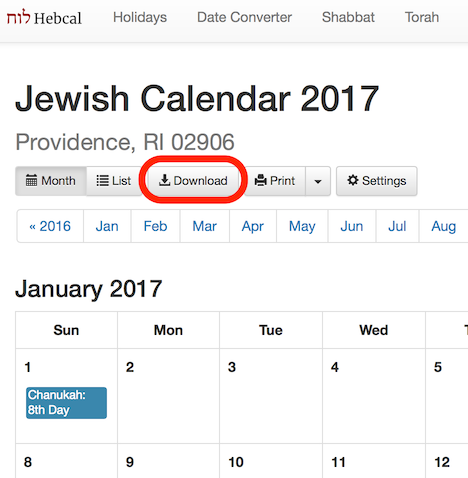 Follow these instructions to add a Hebcal Jewish holiday calendar 5-year feed to newer versions of Microsoft Outlook. This technique uses Outlook’s “Internet Calendar Subscription” feature which keeps a separate calendar from your primary calendar. 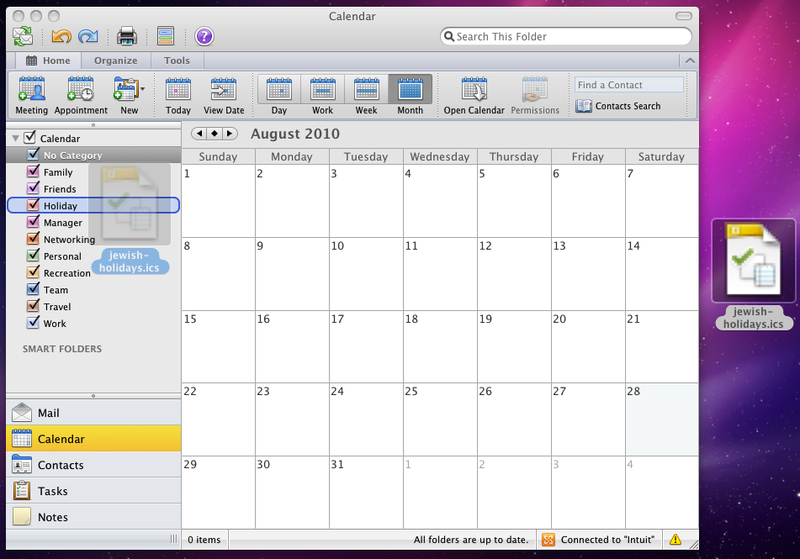 The calendar appears as an “overlay” and can be managed separately from your main calendar. This method is preferred for newer versions, e.g. Outlook 2010, Outlook 2010, Outlook 2013, Office 365. If you plan to sync Outlook with a BlackBerry, consider using the old-style Outlook CSV instructions instead. Open a web browser on your Microsoft Windows computer. You might be prompted to acknowledge that you are opening a hyperlink. You should click Yes. For more details, see Add an Internet Calendar Subscription to Outlook from Microsoft’s support site. 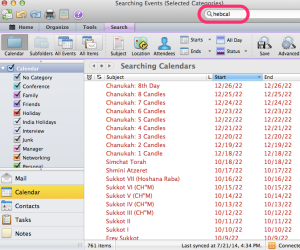 Follow these instructions to add a Hebcal Jewish holiday calendar 5-year feed to older versions of Microsoft Outlook. 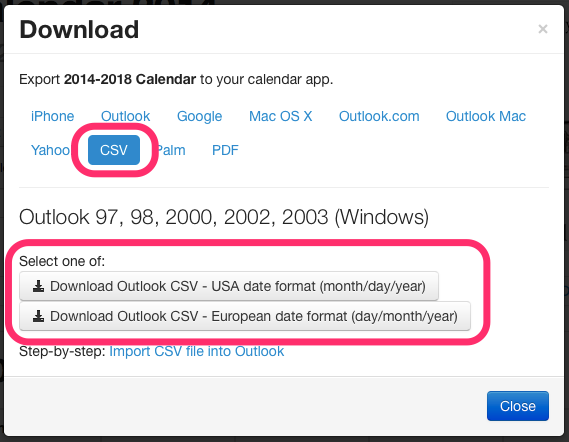 In the dialog box, select one of the two Download buttons – either Outlook CSV – USA date format (month/day/year) or Outlook CSV – European date format (day/month/year) (depending on whether you want USA or European date formats). 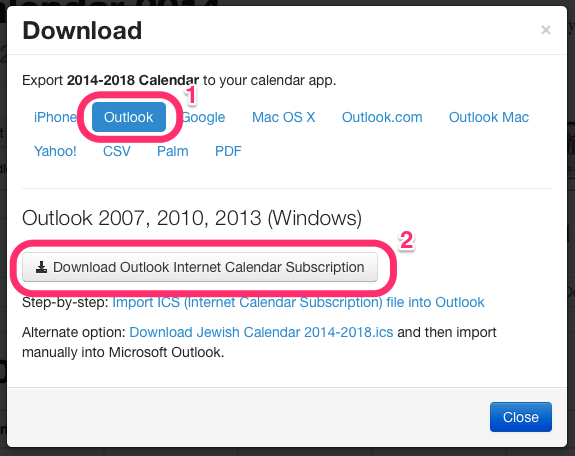 Follow these instructions to subscribe to a Hebcal Jewish holiday calendar 5-year feed in Microsoft Outlook for Mac. Open a web browser on your macOS computer. If you simply drag the .ics file to Outlook 2011 icon in your dock or double-click on it, it will get categorized and color-coded as “No Category” which is probably not what you want. 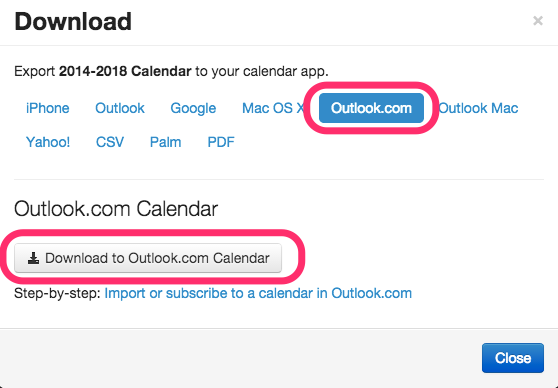 Follow these instructions to add a Hebcal Jewish holiday calendar 5-year feed to Outlook.com (also called outlook.live.com Calendar). This technique will also work with Windows 10 devices (desktops, laptops, tablets and phones) that have a built-in calendar application that connects to Outlook.com or MSN. Select the Outlook.com option from the Download dialog box, and click on Download to Outlook.com Calendar button. 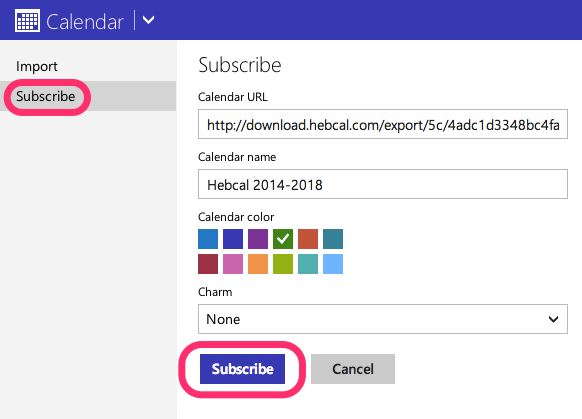 To delete Hebcal events from Microsoft Outlook for Mac, follow these steps.